There are a lot of reasons why we’re the go-to place for Dentists who’ve qualified overseas and are now based in the UK. Things like the massive amount of support we give to gain the authorisations you need to work with us here. Plus, the huge number of career opportunities we’re able to offer, right across the UK. And with more than 400 trained NHS Mentors across the business, you’ll be able to enjoy on-going professional support and training. Meet us at an event in your country! A mydentist recruitment event is an unmissable event. We travel to many European countries to attend careers fairs and give you the chance to experience a slice of mydentist life. It’s your chance to learn all about us. 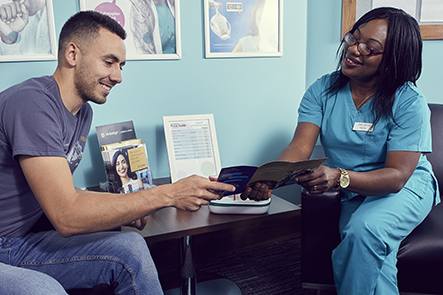 You can ask any questions about our opportunities, the process to becoming a Dentist in the UK and find out how we can support you to settle into work and life. There’s plenty of support and opportunity available at mydentist. We’re there for you at every step of your professional journey and offer a clear and well-structured career path for you to follow. Whether you’ve met us at an event in your country, in the UK or have applied for a role directly, our dedicated Overseas Clinical Resourcing Specialist will identify your specific requirements and find the perfect role to suit you. They’ll ask you what sort of contract you’d like, the type of practice you want to work in, what your long-term career objectives are and how we can support you with them. They’ll then shortlist suitable roles and arrange for you to visit the practices which are the best match for you. 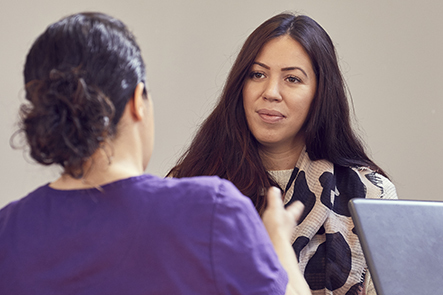 Your Clinical Resourcing Specialist will arrange for a Clinical Support Manager to call you at a convenient time to discuss your clinical experience. This is also a chance for you to ask any questions you might have and talk one to one with a clinical colleague. The call usually takes about half an hour. If you’re already in the UK, a practice visit will also be organised. If not, we’ll arrange for a skype or telephone call, so you can meet your future practice team. If you’re successful, we’ll make you a formal offer. At this point, your Clinical Resourcing Specialist will put you in touch with one of our Resourcing Support Advisors. 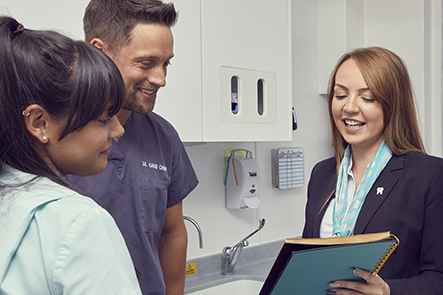 They’ll collect all of your compliance details and arrange for you to attend an induction, where you’ll meet fellow clinicians, who are also new to mydentist. Based on where you’ve accepted a role, your NHS Local Area Team (LAT) will also carry out an ID check. You might have to provide some more compliance information for this and for a panel or Dental Advisor to approve you. Please be aware this could take up to 9 months. As well as receiving support from your Resourcing Support Advisor, we have a dedicated Relocation Manager. They’ll help you to find a home to live in, set up a bank account, get a UK National Insurance number, if you need one, and make sure you and your family settle into UK life. 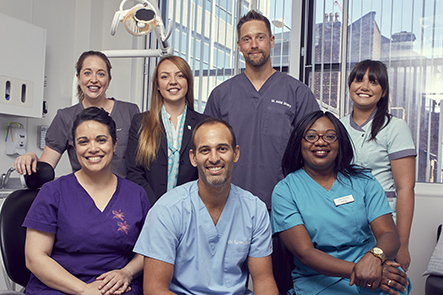 Our 3 day induction programme takes place at the world-class mydentist Academy in Manchester. It covers CPR, CQC, best practice and how to get the most from your career with us. This is where your future begins. During your first week, you’ll benefit from a practice orientation and really get to know the team. You’ll also meet and receive further support from the regional team, including the Clinical Support Manager and Clinical Director.